The research group I.D.E.A. 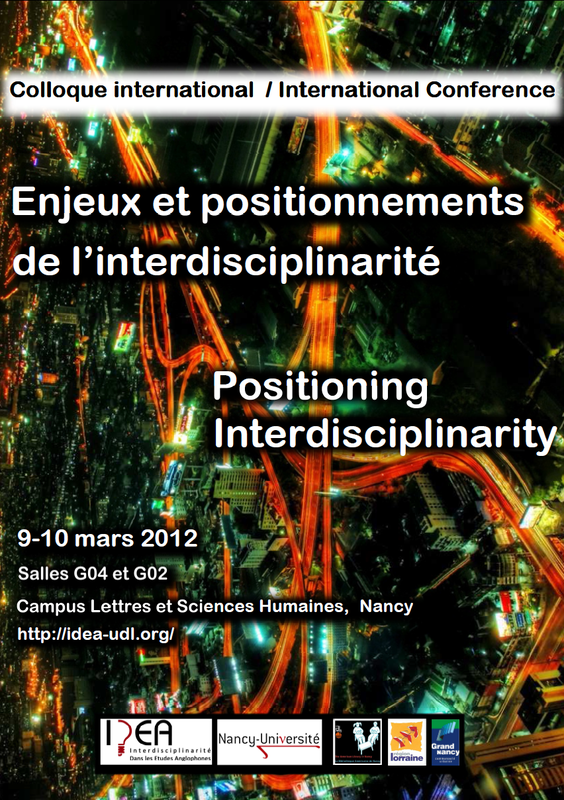 (‘Théories et pratiques de l’interdisciplinarité dans les études anglophones’) will be hosting an international conference on the topic of ‘Positioning Interdisciplinarity‘.This conference, which will be held at the Nancy campus of the Université de Lorraine from 9-10 March 2012, will be the occasion to reflect upon the position that interdisciplinary theories and methods occupy in academic institutions today and to further discussion of the analytical tools that researchers use to position themselves between existing disciplines. For the complete programme of the event please click on the link above. Frédéric Darbellay (l’Institut Universitaire Kurt Bösch, Switzerland), co-editor (with Gloria Origgi) of Repenser l’Interdisciplinarité (2010) and author of Interdisciplinarité et Transdisciplinarité en analyse des Discours (2005). Greg Garrard (Bath Spa University, United Kingdom) author of Ecocriticism (2004). Marc Aymes and Renaud Pasquier, from the editorial committe of the interdisciplinary review Labyrinthe. 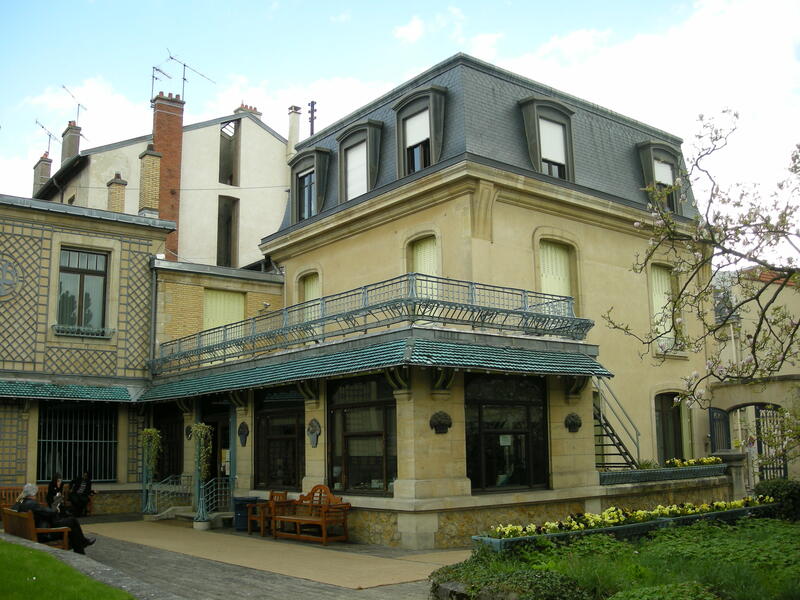 The conference will include a poetic journey through the internationally renowned Musée de l’Ecole de Nancy, organised by Hélène Marquié (Université Paris 8). 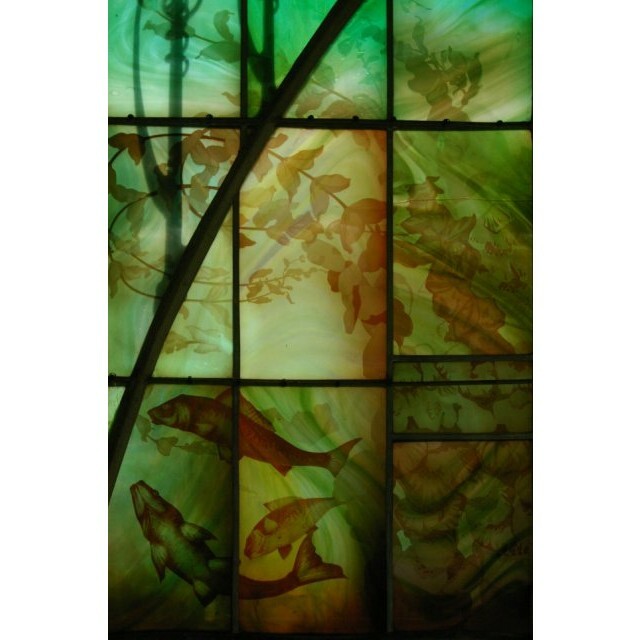 There will also be a panel discussion devoted to the role of interdisciplinary reviews within doctoral schools. The participants will be Agathe Dumont (Traits d’Union, Paris 3 University), Céline Letawe (MethIS, Université de Liège) and Delphine Schneider (E-LLA, Université Aix-Marseille). Scientific Committee: Claudine Armand (Université Nancy 2), Maryvonne Boisseau (Université de Strasbourg), Johan Callens (Vrije Universiteit Bruxelles), Catherine Chauvin (Université Nancy 2), Catherine Delesse (Université Nancy 2), Rachel Hutchins (ERUDI–Université Nancy 2), Yvon Kéromnès (Université de Metz), Hélène Marquié (Université Paris 8), Brigitte Zaugg (Université de Metz). Organising Committee: Claudine Armand (Université Nancy 2), Vanessa Boullet (Université Nancy 2), Delphine Schneider (Aix-Marseille Université), David Ten Eyck (Université Nancy 2).